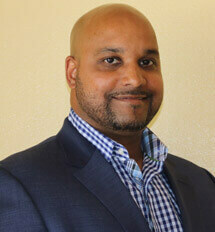 Ravi Bates, owner/partner, holds 12 years experience in the field of physical therapy. His commitment to local community and passion for the growth and success of New Orleans has helped him better serve his patients over the years. Mr. Bates specializes in the treatment of orthopedic musculoskeletal conditions, spine and extremities. His “hands on approach” enables him to assess and implement the correct plan of care which is patient tailored to meet the best possible outcomes. As a graduate from Tulane University with a B.S. in Exercise and Sport Sciences he has worked with many athletes both collegiate and professional. He finished his post-graduate studies in physical therapy to receive a Masters from the University of Alabama Birmingham, a “top ten best” physical therapy program at the time. Ravi Bates has had the opportunity to work and learn from the best scholars in the industry. Mr. Bates has completed continuing education coursework and certifications to learn a variety of techniques that help assist his patients including vestibular rehab, athletic taping, orthopedic manipulation, and most recently dry needling. Ravi Bates is married with three wonderful children and he enjoys golf and jogging in his free time.